Andy: I give any rum props for being over-proof and still be drinkable. While it’s a little strong to drink straight, it would be a great base to kick up your favorite boat drink. Adrian: This rum definitely has a strong burn, but you can still taste the sweetness. I really like the flavor of this rum mixed with Diet Coke. A little burn drinking straight if you like it, definitely a good rum for mixing. This is definitely a great choice when mixing with party drinks. Not only cola but in Bahama mommas, Mai Tai and the NOLA favorite the hurricane. When on bourbon street or the French quarter at night, doors open everywhere and it seems like you can buy a hurricane from anywhere. Most are made with inexpensive white rum that has a kick. 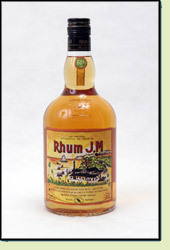 This rum just classes up any of those drinks and in the morning you will not regret it.